Described as “entirely revolutionary” by WIRED, “The Silent History” tells the story of a generation of children who were born without the ability to create or comprehend language. Digital Americana chose the novella for its innovation in the field of digital publishing. The creators of “The Silent History” received $500 and an elegantly engraved crystal award from Digital Americana upon receiving the honor. Digital Americana is a literary journal with a state-of-the-art publishing mindset, dedicated to showcasing a modern American sensibility through fiction, nonfiction, poetry, multimedia and culture. It established its annual digital book award to bring attention to the craft of multiplatform storytelling and to give independent publishers an incentive for experimenting with digital publishing and transmedia. The magazine has released several issues and interactive creative writing features since 2010, with its most recent release being the Consume issue for Spring and Summer 2013. The next issue is set to come out mid-fall—it will be the magazine’s first issue to feature an original short documentary film, which will be part of an ongoing series about local Americana. “The Silent History” is a creatively told novella involving more than 120 testimonials from parents, teachers, doctors and others touched by the so-called “silent phenomenon.” Formatted specifically for the iPad and iPhone, the app is now available on the App Store. The interactive novella was created by Eli Horowitz, Kevin Moffett, Matthew Derby and Russell Quinn. 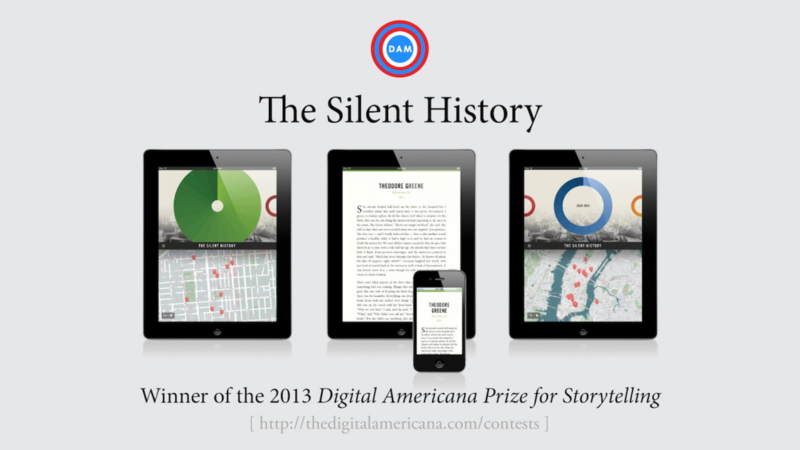 Winners of the Digital Americana Prize for Storytelling are picked based on their ability to design a cohesive digital reading experience through an app, interactive PDF, enhanced e-book or interactive iBook. Writers must demonstrate purposeful use of the medium and be able to enrich a well-told original story with an interactive design. Digital Americana is now accepting entries for its 501-word creative “flash fiction” writing contest, which has a final deadline of December 1. The winner will receive publication in the magazine and a production of a short film based on the submitted story. Entries will be judged by Adam Cushman, president of Red14 Films in Los Angeles and the producer of more than 20 literary shorts over the course of his career. To learn more and to access “The Silent History,” visit http://www.thesilenthistory.com. 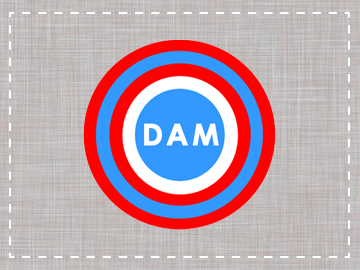 For more information on Digital Americana and its previous and upcoming issues, go to http://www.thedigitalamericana.com.